CONTEMPORARY folk group Lau are set to celebrate the ten year anniversary of their debut album with a career-spanning set in Mareel next weekend. The award-winning Scottish trio, who consist of guitarist and vocalist Kris Drever, accordionist Martin Green and fiddle player Aidan O’Rourke, will perform at the Lerwick venue on Saturday (9 December). It’s been a quick rise for the highly acclaimed folk outfit, who released their debut album Lightweights and Gentlemen in 2007 before unleashing three more full-length efforts. But it’s also been a musical evolution that has seem the group twiddle and twist their songwriting to give a wholly more immersive, experimental sound. The show will be cut into two halves – one representing today’s Lau, and one harking back to the Lau of old. “There’s a lot more different sounds involved in Lau now than there were to begin with, and as we’ve grown together as an ensemble, we’ve learned how to push things out there a little bit,” Kris said. The band’s last record The Bell That Never Rang was released in 2015 and it included the 17-minute title track, which was recorded alongside the Elysian Quartet. It’s fair to say it is doubtful Lau will perform that number in full in Lerwick, but it seems their hardened fans have supported the group’s evolution. “I think the folkies are among the more accepting of audiences actually,” Kris said. So what are the highlights of the last ten years? Kris points to numerous tours around the world, including trips to Japan, as well as a collaboration with the late, legendary Cream bassist Jack Bruce. “We had no idea really [that we would go this far],” he adds. “But we did a lot of work, so when we first started doing the gigs, we maybe had a year or so of writing and rehearsing. 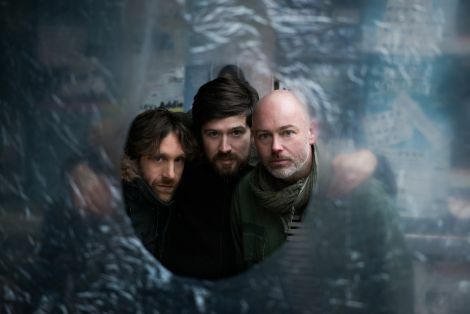 The Lerwick gig will be the last show of a lengthy UK tour, which includes dates at the likes of London’s Cadogan Hall and a sold-out performance at Liverpool Philharmonic. It seems Shetland shows are now becoming a sort of ‘homecoming’ gig for Orcadian Kris, who now lives in Quarff – and this time around there is an extra perk. “It’s totally brilliant,” he said about playing in Shetland. Tickets for Lau at Mareel on 9 December are available now via the Shetland Arts box office.